Did you know that on even a six game NBA slate, there are approximately 250 BILLION lineup combinations you can make? To be able to hit on the 1 lineup out of those combinations is harder than winning the lottery. A reduced player pool, though, can give you a significant advantage by reducing the possible lineup combinations you can make. If we limit our choices to only 5 players per position, you now have 400,000 possible lineup combinations you can make (pricing helps reduce this number even lower). Sure, that’s still a lot of lineup choices but it’s only .00016% of the total possible lineup combinations everyone else is working with. That is a SIGNIFICANT advantage for you if you’re choosing from a strong reduced player pool. That’s where we come in to help. Bankster DFS, The Home of the Reduced Player Pool, has teamed up with Fanball to give you a daily sneak peak of three of the plays we have included in our Bankster DFS reduced player pool. We aren’t lineup sellers; we write full articles that explain which players we like, why we like those players, and how we like to build our teams. We are a learning site more than anything, and you can see that in heavy member interaction on our various Slack Chat channels (we have one for every sport that we cover – NBA, AAF, NFL, NHL, MLB, EPL, PGA, MMA, CBB, WWE, sports betting, and Best Ball 10’s). You can get the rest of our reduced player pool, our daily articles, our members only slack chat, and Fanball exclusives with a Bankster DFS membership. That membership costs only $2.99/wk and you get everything mentioned above with it; 10% of all membership fees are donated to Donors Choose (a site that funds projects for teachers and their classrooms). You can contact me about membership on Twitter @bankster17 or sign up for service here. Teague and Rose aren’t expected to play in this game so that means KAT is going to eat. KAT has scored 48+ fantasy points in 14 of his last 16 games, and the Hornets are most likely going to be down Cody Zeller once again. 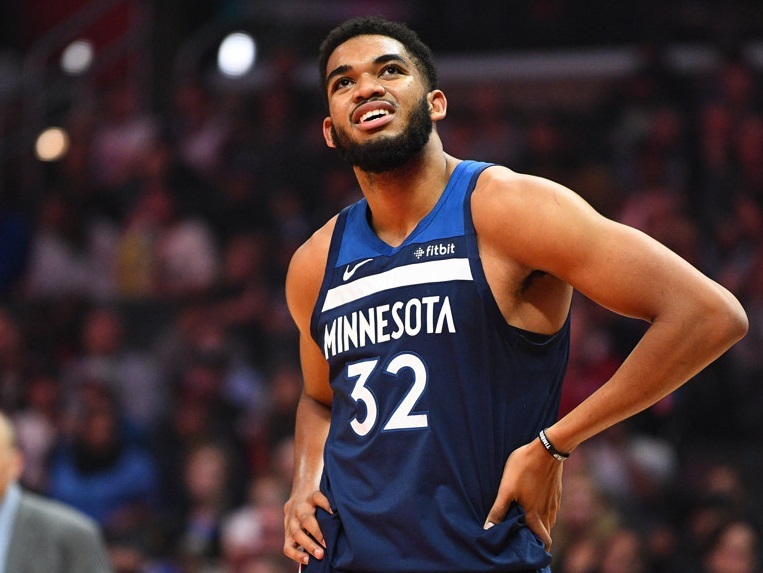 At his price point it’s not crazy at all to think that KAT’s upside is 6x, which is nuts given that he’s the highest priced center on the board. He can be a strong anchor to your team without weighing down your salary cap too much for a high-priced stud as there’s enough value to make this work easily. While it may look like we are chasing the 46 fantasy point effort from Lamb his last game (a product of Kemba getting three fouls in the first quarter), this is far more than just a tailing situation. Lamb has put up 34+ fantasy points in three straight games and actually has two 50+ point fantasy games among his last ten starts. The one time he played Minnesota this year he scored 39 fantasy points; 10 points more than his season average. At a $5300 point you really don’t need much more than 25 fantasy points for Lamb to hit value. In what is expected to be a high scoring game against the Timberwolves I think that’s not too far of a reach to expect as a floor for him (and I don’t think this is a floor game). WIth the Nuggets gearing up for a deep playoff run, they could try to give some of their starters a bit of breather in a game that could get out of hand quickly as the Wiz are on the second night of a back to back. On a normal night Plumlee sees around 20 minutes and can score about 20-23 fantasy points. If we see those minutes increase to 25+, then a 30 fantasy point night could be in play and that would mean a 7x return on his price. He’s not a lock and load type of player, but instead a steady cheap option at the position that has some upside given the matchup. On a six game slate it’s hard to outright fade a big name player so this was a hard task to undertake. We chose John Collins because he’s not only coming off back to back games with reduced production (29 fantasy point average in those games), but he’s also seen a reduction in minutes as well (about 25 minutes per game in those two games). Both the games were close so there was incentive to leave Collins in the game, so maybe there’s something else at play here regarding the injury that kept him out of action in early March. If the Hawks are managing his minutes at all, then we are looking more at his floor (around 25-30 fantasy points) rather than his ceiling (40+ fantasy points). On a night like tonight where there are a ton of other options at both a higher and lower price, there’s no need to take a risk on a with some questions who just happens to be going up against a tough Jazz defense. Don’t forget that you can access the rest of our Reduced Player Pool as a Bankster DFS member. $2.99 per week gets you access to all the content we produce for all the sports we cover, our members only Slack Chat, and exclusive Fanball bonuses. Contact me @bankster17 or you can sign up for a membership here. Thank you for checking our our Fanball NBA 3 Point Play. You can find us here every day throughout the NBA season (MLB coming soon).